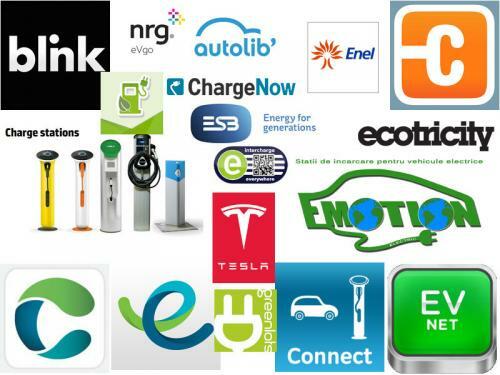 A report by Zion Market Research called (take a deep breath) “Electric Vehicle Charging Station Market by Application (Residential and Commercial), by Charging (Level 1, Level 2, and DC Fast Charging (3 Phase)), and by Standards (CHAdeMO, SAE, CSS, Tesla Supercharger, and Others): Global Industry Perspective, Comprehensive Analysis, and Forecast, 2017 – 2024” says that the global EV charging station market will bloat to $26.8 billion from the current $4.2 billion that it was in 2017. The Tesla Supercharger network currently accounts for most of the fast charging facilities around the world, but several other standards are now catching up and could become the order of the day in the next five to seven years. In related technologies, connectors are coming to the forefront as a unifying factor among the varying charge specs of different charging stations. Until now CHAdeMO has been in the lead, but CCS will soon overtake it, says another report that Grand View Research, Inc. has published. This report shows that the global charging station market is expected to grow to a whopping $45.59 billion by 2025. While these two reports might differ in their projections, the underlying trends to watch for are very similar. For example, both reports say that the growth in DC fast charging will be substantial compared to Level 1 and Level 2 charging. This growth is being attributed to growth in the commercial vehicle segment. Commercial EVs aren’t yet as popular in the United States as in China, but the slow curve of battery tech improvement makes larger batteries more suitable for commercial use, like in buses and trucks. In China, for example, CATL leads the way in commercial EV batteries, similar to the way Tesla and Panasonic currently rule the sedan EV battery market with their 2170 cells. All of that could change in the next 7 years as auto companies and governments around the world put their monetary and resource shoulders to the massive problem of transitioning from fossil fuels to more sustainable technology in the realm of transportation. The biggest opportunities are in the commercial segment, where the bulk of the fuel is used. That’s the same reason the biggest gains can be made from moving to EVs and other clean fuel options. Several companies are already booked for the upcoming Tesla Semi Truck, including Walmart. Freight movers are also interested, but they’re waiting for others to test the waters or simply for EV trucks to prove themselves in real-world conditions. The moment the ROI factor can be made enticing enough, diesel fleets will start switching to alternative fuels. Tesla is on the verge of doing that with its operating cost for the Tesla Semi, which is advertising “the lowest energy cost per mile.” When it’s released, it will probably have a longer real-world range and an even lower operational cost. That’s what we’ve seen with the Model 3 Long Range, and presumably the same cells are going to power the Tesla Semi. And the real key to the success of the Tesla Semi or any EV truck on the market will be the supercharger network for trucks, which we expect will piggy-back on the existing infrastructure to a large extent. The charging specs will need to be different, of course, as will the connectors and any other hardware required, but relying on existing power supply in regions that already have supercharging stations would be a lower-cost way to create such a network for commercial vehicles. Other charging stations like ChargePoint, SemaConnect and Volkswagen’s “Electrify America” project in the U.S., as well as initiatives like Ionity in Europe are also going to feed that demand for commercial EV charging, which is why the industry is expected to grow so fast in a short period of time. China alone could account for much of that growth, with the U.S. and Europe trailing. One thing is certain. Tesla knew a long time ago that one of the things it has to dominate is the charging network. Without it, even a 300-mile-range EV would be seen as a risky bet for anyone used to gasoline cars, especially those who frequently drive long distance. And it’s pretty much done that in most key markets that it intends to enter with the Model 3. Some markets have been well tested, while others still need more infrastructure for Tesla owners. Electrifying the world’s biggest markets to make them suitable for low-cost EVs is going to be a long road, but the world needs to get there sooner rather than later. Why Tesla Wants to Double Supercharger Capacity?